If like me, you’re constantly telling yourself to visit new places, yet find yourself frequenting the same attractions time and time again because “hey if the ol’ routine ain’t broke don’t fix it?” then this post is definitely for you!! There are a wealth of amazing museums to visit throughout the country yet many are often ignored by people making snap judgements by their names. 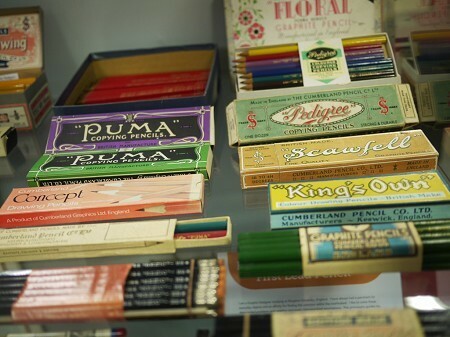 I will admit that when I was but a wee lass and my mum told me we were taking a trip to the Pencil Museum, I did do everything in my power to get out of it. Yet, after a while I found myself really enjoying everything it had to offer and there are a tonne of similar places throughout the UK! Much like not judging a book by its cover, can you really judge your enjoyment of a museum by a cursory glance at its title? You’d be surprised at the fascination that can be found in things considered mundane. Who decided that the story behind the creation of pencils, textiles or brands was boring? Each of these places were built because they have a story to tell and I believe all of them are at least worth one visit. Plus after visiting each you will be LOADED with random facts to spam your friends and family with!! Do you hear the sound of cackling? For something a little more magical in your life, you can’t really go wrong with a museum dedicated to the art of witchcraft. Home to the world’s largest collection of witchcraft related items, this is THE place to visit for fans of certain old crones. 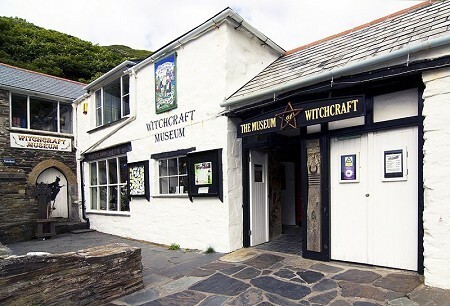 Opened in 1960 and located by the harbour in Boscastle, you can see the development of modern witchcraft and the aspects of it that have dripped down into popular media! From Mandrake roots utilised in Harry Potter, to depictions of famous witches in literature such as the witches of Macbeth as well as the fabled witch of Wookey Hole, you'll find yourself lost in a world of spells and mystery! Ever wanted to know more about lawnmowers? Of course you do! 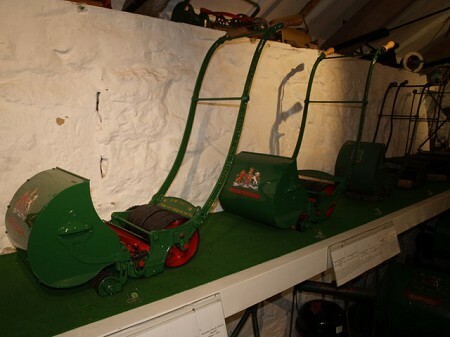 While a title like “The British lawnmower Museum” might seem groan worthy, you’d be surprised at the number of fun exhibits there are to visit here. From records of lawnmower racing (yes that is indeed a thing) to models of expensive (luxury) model mowers, to the first solar powered motor and even a number of celebrity items, you are truly missing out if you don’t visit at least once! Of course I was going to talk about this one! The Pencil Museum does exactly what it says on the tin, but has a few fun surprises thrown in as well. Ever wanted to know who invented the first pencil? How about how pencils were used to send secret codes during the wars? Or maybe find out all about the pencils used to create the beloved “Snowman” Christmas short? If anything it boasts the world’s largest colouring pencil measuring 26 feet long and weighing an impressive 984 llbs!! You know what Jute is? If not, do you want to find out? One of the most versatile textfile fibres known to man didn’t just make itself, and the Verdant Works was once a thriving Jute producing mill. 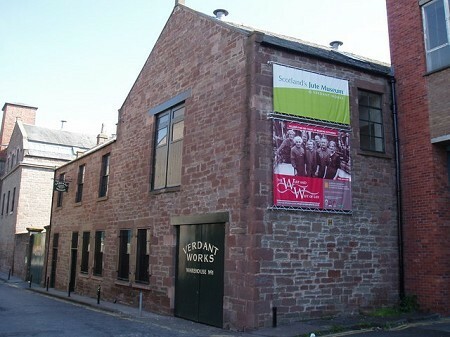 This beautifully refurbished building is home to many stories of Dundee’s rich textile past: from the strikes against lowered wages, to the unions formed against cruel working conditions, to the tales of it’s workers and the terrible living conditions of the working class in Dundee in the twentieth century! It's definitely worth checking out! 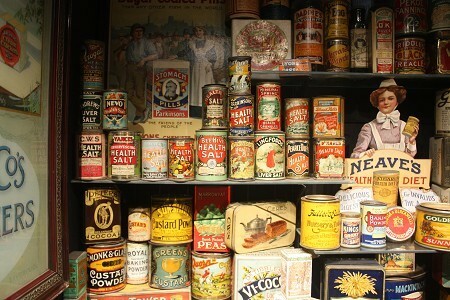 Brands and advertising have a way of working themselves into our minds and this isn’t a phenomenon limited to the 21st century as the Museum of Brands in London quite clearly points out with it’s massive collection of over 12,000 pieces of brand and marketing memorabilia. It's guaranteed to give every visitor either a gut punch of nostalgia or (for the younger patreons) a fascinating look into marketing campaigns from times gone by. Economic frocks and toothpaste from the war? Packaging from the original Action Man action figures? Rimmel make up from the end of the nineteenth century? If anything this museum does show that rampant materialism is hardly a trait of recent years. There is a good chance you’ve might possibly have worn shoes at some point in your life so why not step into this attraction and learn about the garments that have been helping you get from point A to point B for so long? While a title like ‘The Shoe Museum’ really does not sound like the most thrilling place in the world, this blog is here to show you how names can be misleading (and I hope the previous five paragraphs have helped illustrate that point). This FREE to enter attraction boasts a rather impressive collection of footwear ranging from Roman sandels, to the hideous crocs of modern day, showing that this place certainly isn't any old cobbled-together attraction! Is that the sound of Amazing Grace I hear? Why not take a gander into the world of Scotland’s national instrument! Everyone should have a go at playing the bagpipes before they die, and a visit to the Museum of Piping in the National Piping Centre in Glasgow gives the perfect opportunity to toot to your heart’s content. This museum is THE authority on the history of piping, with over three-hundred years of history to explore, the oldest chanter of the Highland bagpipe found anywhere in the world, as well as a huge range of different pipes to marvel at. If you still aren't sure as to where your next adventure will take you, make sure to check out our attractions page for a full list, as well as checking out the areas near you for all the fun going on! !